Supercharged and vitamin-rich, this treatment serum is potent and deeply penetrative – delivering high concentrations of age-defying nutrients to your skin’s lowest levels. 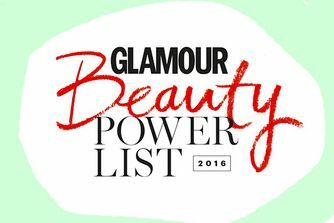 A fortifying, line-lessening and elasticising powerhouse, ‘Power D’ dramatically enhances skin’s resilience – reinforcing barrier function to seal the ‘good stuff’ in and lock the ‘bad stuff’ out. 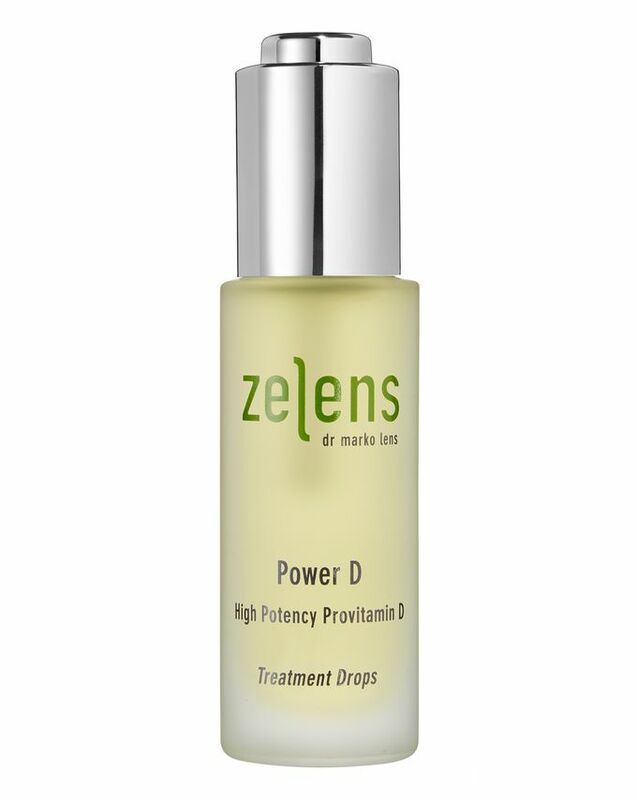 A ‘top coat’ for your complexion, Zelens’ High Potency Provitamin D Treatment Drops are brimming with provitamin D – a naturally-occurring active that’s essential for the synthesis of vitamin D, which boosts skin’s natural barrier function. By replenishing precious lipids, this protects against microbial attack (helping to keep blemishes at bay and control skin conditions such as dermatitis), wards against environmental stresses and helps to fortify skin’s fragile fabric. Ideal for easily-offended skin types, this promotes processes of regeneration and repair, enhances elasticity and hydrates thanks to the inclusion of hyaluronic acid. Your face is left smooth, plumped, supple and protected from the elements; just massage on top of your day cream, or apply a few drops directly to clean skin – massaging with fingertips to maximise the strengthening effects. Use daily, morning and evening. Apply a few drops to your finger tips and massage into your face, neck, and décolleté. Follow with your preferred serum or moisturiser. Alternatively, apply on top of your day cream (allowing a few minutes for cream to sink in effectively), to 'seal in' nutrients and 'lock out' the environmental stressors. This is so soothing, and even worked on small irritated patches I got from dryness around my mouth last winter. It is amazing stuff. However, beware to not use when pregnant as this has a type of retinol in it. It is not written anywhere to not use this when pregnant and I discovered it while reading the ingredients list and using it for a while. Not a good surprise. With a heavy heart I have to give this a poor rating and negative review. It's not a product for me, and feel that my experience isn't represented in the reviews, so have added mine. I'm a huge fan of Caroline Hirons, and her word is gospel -so when she recommended this, I did my research and it seemed to be the perfect product for me - and a great (slightly boujee) way to treat myself! Unfortunately, this left my skin with little bumps (nothing like the cystic acne I already have on my skin), which even my acid toning couldn't seem to abate. Nevertheless, I kept on persevering every now and then as the texture of this oil is basically liquid silk - luxurious doesn't even begin to explain the feeling of having this on my palm, and the fresh smell is pure delight. When I had slightly stressed skin, and was rather ill, I thought I'd see a rapid improvement by using this oil -and I had the worst reaction ever - to the point where I needed to grab a steroid cream for 2 days. Needless to say, I've haven't touched it since (March), and my 3/4 full bottle will now go to waste. I feel as though this product has weakened my skin's resilience as opposed to strengthen it. I would be cautious, and be sure to read the ingredients lists etc if you do have sensitised skin. It worked as a decent oil/serum - provides some moisture for dry skin. I bought it a while ago and found it okay. However, I used this after I had a reaction to a bathroom spray on my cheeks last week and this exacerbated it - the reaction only calmed down when I stopped putting everything on my face. I don’t know why Zelens puts things like essential oils in his products - particular products for sensitive skin. Got it from Caroline Hirons Box and omg! I have very sensitive skin which reacts quiet aggressively to a lot of products-but not in this case. Oil is so gentle yet very effective in protecting your skin as well as strengthening it from within. Will definitely buy it again. I was lucky enough to get this in the Caroline HIrons beauty box and cannot believe it does everything promised. Feels beautiful on the skin and not at all greasy, which I was worried about when using an oil. Definitely my go to product if my skin is slightly stressed and needs some TLC. Cannot believe I love a 3 figure priced oil - but it is the truth. I really didn't want a serum that comes with a 3-figure price tag to work as well as this one does. I have mild rosacea (mainly redness) and it has pretty much completely gone since I started using this product. My skin is looking great more generally, too - more "refined" and well-cared for. It's become my most expensive essential skincare item, and I can't imagine being without it. I bought this as part of Caroline Hirons latest beauty box and I am absolutely bowled over by how fab it is. In particular it works really well with the January Labs moisturizer that also came in the box but it has blended beautifully with a range of other products that I use and it's left my skin looking fresh, smooth and hydrated. Will be a lifetime subscriber to repurchasing this for definite. Love it. I have to say this oil is beyond any hopes I dared wish for. I suffer with urticaria & have random flare ups due to stress. Steroid and anti inflammatory ointments work but after a while thin the skin. I was recommended this by someone and it's been nothing short of a revelation. I can only liken it to a huge healing hug for the skin. 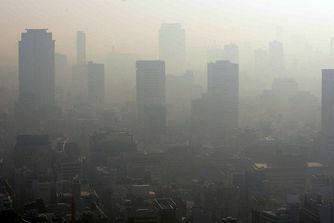 The lesions were less red, the itching nonexistent & the vague crawling sensation completely gone by the next morning. I love it. It has not caused acne, further irritation or as feared with my oils an oil slick effect with make-up. Well done Mr Zelens, I could seriously propose marriage to you! It gives me a rash every time I use it. Which really is a bummer because it's insanely expensive, and I also paid a lot of taxes for it. I bought this because I have sensitive and reactive skin, but needless to say - this was not the solution. A holy grail product for me - I used these drops after having a particularly bad reaction to a product along with sample sachets of Zelens Z Recovery Balm. My sensitised skin calmed immediately and completely healed within 3 days. I have sensitive, acne prone skin and since using these drops I feel my skin has strengthened - I flush less, hardly any breakouts and my skin is more supple and plumped. A little goes a long way. I have very dry skin and suffer from psoriasis outbreaks from time to time on my face. This oil is fantastic for keep skin soft and supple and calming it down when it’s irritated or sensitised. A little goes a very very long way so it lasts a lot longer than you’d think. This product is amazing. I got it in Caroline Hirons box mostly for post-chemo skin defence for my husband but I am using it too, it is fantastic, leaves my combo skin plumped hydrated but not oily at all. Really wonderful. But these just work...on my normal skin they feel so nourishing, you wake in the morning with the elusive glow. On my husband's stressed and temperamental skin they have calmed everything down and reduced his acne. I looked at them for a long time before purchasing as part of Caroline's beauty box, they are far too expensive...yet a can't live without for me. Really calmed down my skin, I feel. Will probably buy again despite the price. I use it on top of my Hera aquabolic water and lotion, and with a moisturiser on top, which seems to be a perfect combination. I don't use it every single day, but whenever my skin is going through a crisis, whether over exfoliation or retinoid reaction, when my most favourite repairing serums fail me, this always has my back. It does not magically heal my skin completely over night, but with consistent use and a simplified routine, my skin always becomes happy again within 2 days. Provides a good layer of protection for the most vulnerable skin, but definitely not enough hydration or moisture. But I will always make sure it doesn't run out because this baby will save my face when nothing else does. Because of the price I was desperate to not love this but I really do. I work in a place with no windows (seriously) so wanted to top up on all the Vit D I'd been missing. This is a luxurious natural-feeling product which absorbs into the skin wonderfully and smells great. I use this at night and by morning I really feel like it helps calm, soothe, balance and refresh my skin. A pleasure to use.